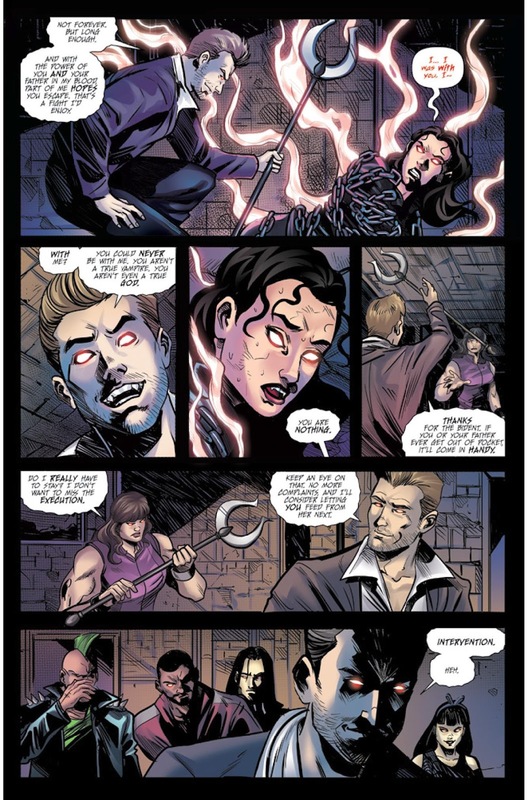 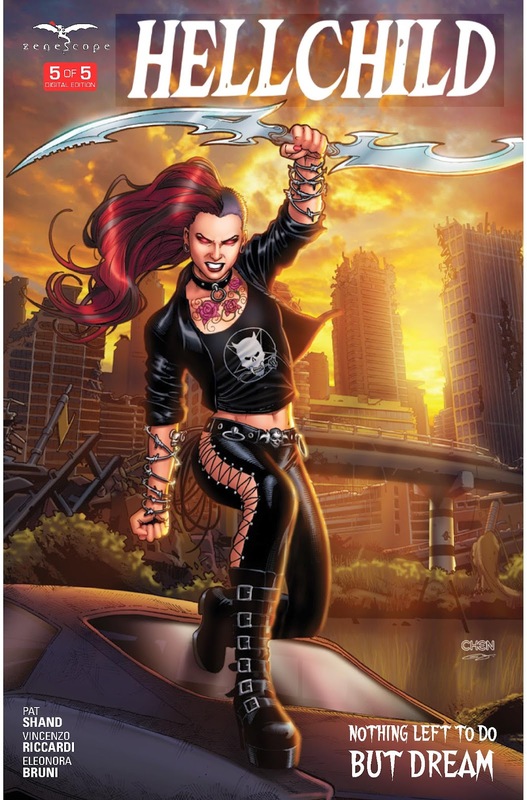 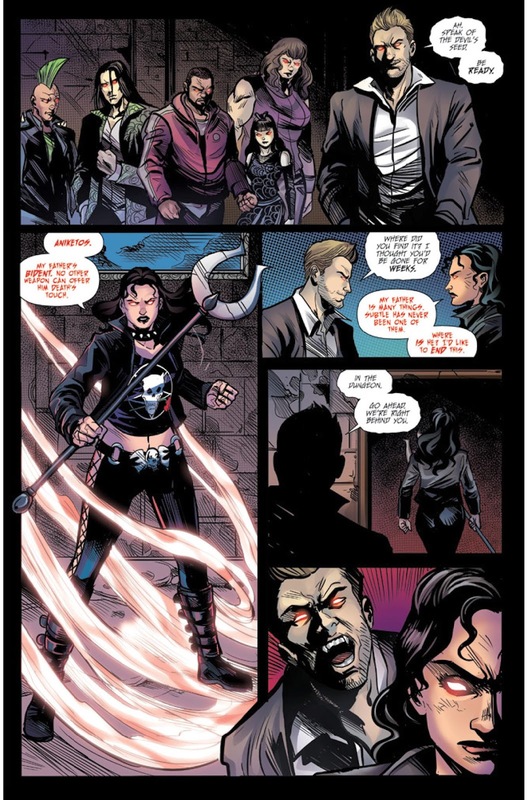 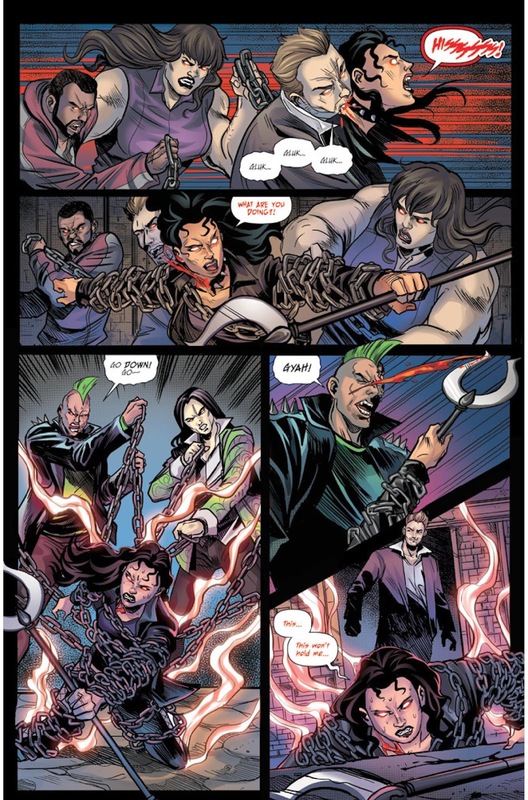 The Fellowship has obtained a first look at HELLCHILD #5 from Zenescope Entertainment. 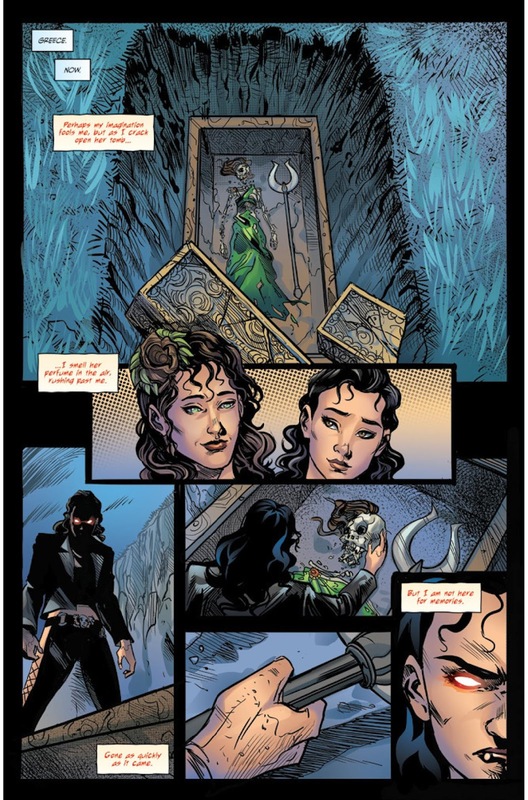 The issue, which hits stores July 20th, is written by Pat Shand, drawn by Vincenzo Riccardi, colored by Eleonora Bruni, and lettered by Jim Campbell. 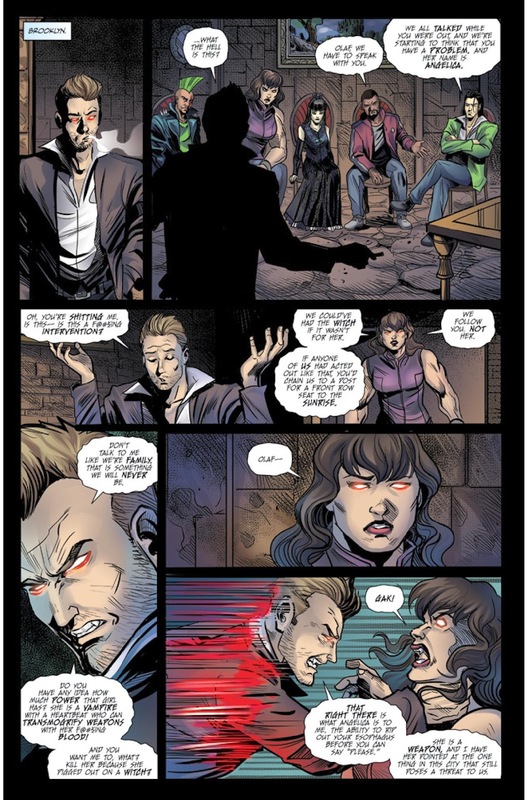 As Angelica works out her issues with her father Hades in a bloody way, Helsing and Marian find that their actions have dark consequences. 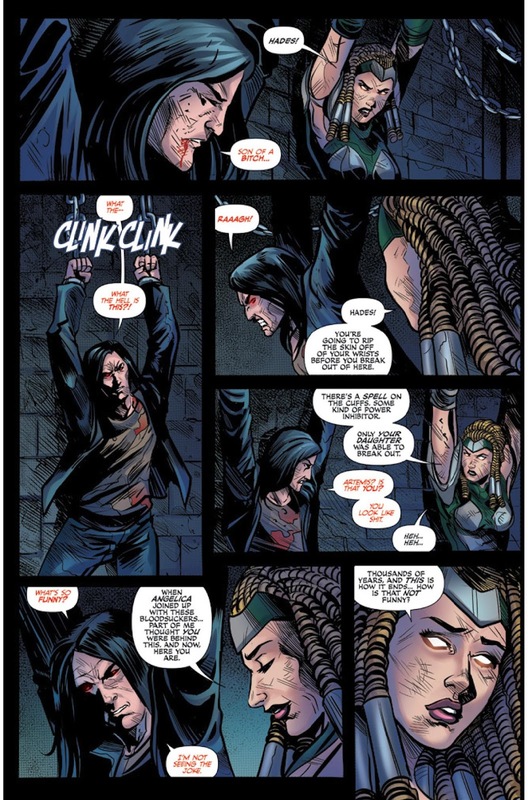 With all of the cards on the table, will Angelica rise about her thirst for vengeance - and blood - or will she embrace her sinister nature?